Glen Dimplex Heating and Ventilation are finalists in the annual Heating and Ventilation News Awards 2018. As the longest running, largest and most celebrated ceremony for the building services, the H&V News awards celebrate the best in forward thinking and excellence within the sector. Glen Dimplex Heating and Ventilation have been nominated for the ground breaking Zeroth Energy System. As a finalist in two categories: ‘Domestic Heating Product of the Year – HIUS, Heat Pumps and Heat Recovery’ and ‘Commercial HVAC Product of the Year – Heating Units’, the Zeroth Energy System is a strong contender. Shown to cut energy bills by up to 50% in residential buildings, this state-of-the-art residential system has taken 18 months to develop and is the first of its kind in the UK. The Zeroth Energy System provides heating, cooling and hot water services to residential or commercial spaces using a network of heat pumps. The heat pumps are connected to an energy loop, which is a low temperature water circuit maintained at between 15⁰C and 25⁰C. The energy loop is maintained within operating parameters using centralised heating and a cooling plant. 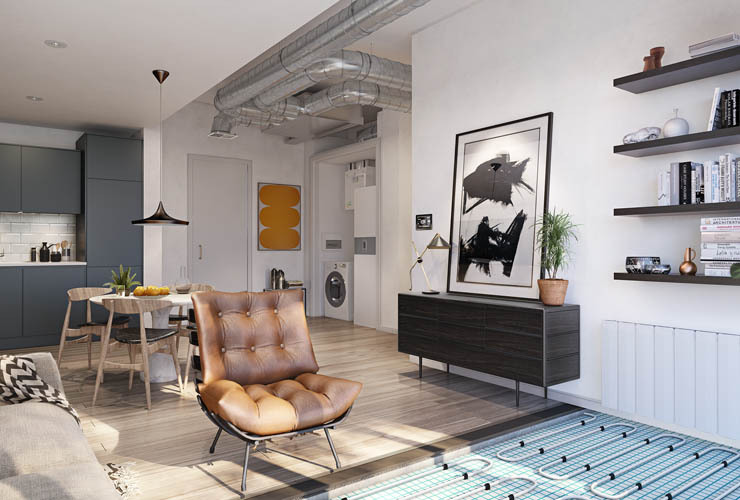 The heat pump in each apartment or commercial space can then be connected to a range of emitters including fan coils, radiators, underfloor heating or fan convectors. Hot water is provided by a localised cylinder, which is charged by the heat pump. Glen Dimplex Heating and Ventilation are thrilled to be considered as finalists with this new, innovative technology. The winners will be announced at the H&V News awards on Thursday 19th April 2018. Watch our informational video to learn more about Zeroth.